Bringing the power of the sea to your shower and housed in a pioneering 100% recycled bottle, with 20% reclaimed ocean plastic, this super-fresh body wash is formulated with Atlantic kelp extract and energising magnesium to nourish, smooth and tone skin. 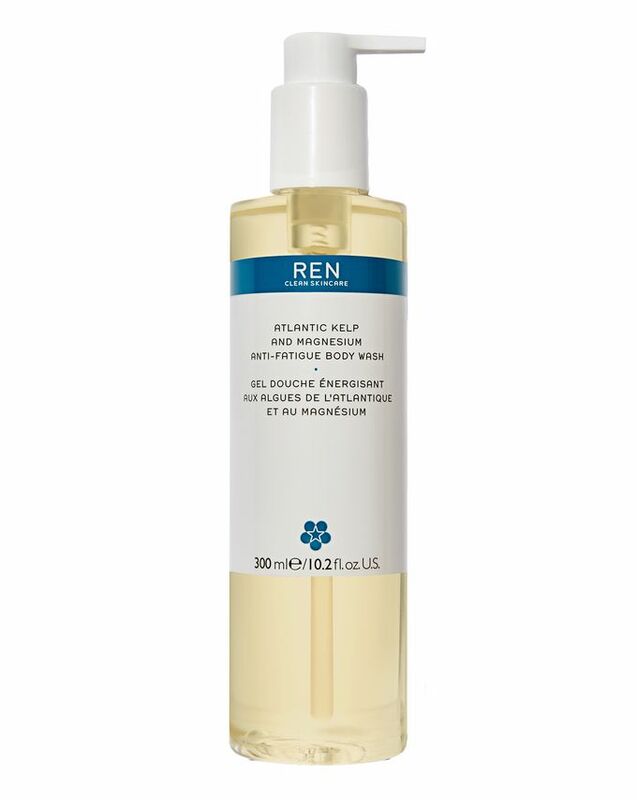 Infused with REN CLEAN SKINCARE’s exclusive anti-fatigue essential oil blend, it also awakens and refreshes sluggish skin and senses for the ultimate uplifting shower experience. REN CLEAN SKINCARE’s Atlantic Kelp and Magnesium Anti-Fatigue Body Wash will transform your shower routine into a day-long energy boost. Completely sulphate-free, it’s enhanced with a potent concoction of mighty oils and extracts to refresh, nourish and smooth skin. Atlantic kelp extract is a rich source of calcium that boosts energy production and hydrates skin, covering it in a protective barrier to lock in moisture all day long, while magnesium plankton extract offers anti-inflammatory properties and reduces stress damage. Also infused with a bend of energising, anti-fatigue essential oils, this body wash awakens sluggish skin and senses to set you up for the day perfectly.